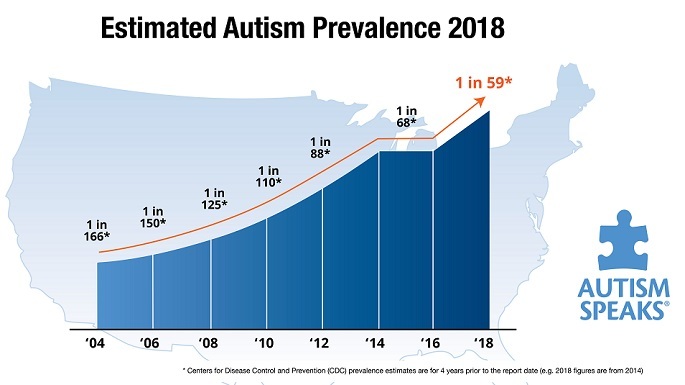 Because of the relentlessly increasing incidence of ASD, and the relative ineffectiveness of many of the present protocols, alternative therapies continue to appear on the horizon. Some are completely new, such as Bumetanide. Some are re-introductions of previous regimens, such as chelation. And, some are new therapies that had previously been used in other relatively resistant conditions, such as cancer. Treatment with GcMAF is an example of that. Gc stands for the Group specific component globulin (a blood protein, produced within the liver and also made by the immune system). One of it’s actions is to move vitamin D throughout the bloodstream. It also enhances the body’s resistance. MAF stands for macrophage activating factor. Macrophages are immune system cells that surround, and then eat, cellular debris and invaders (bacteria, viri, ?fungi). Click here to see how this works. Another concept in understanding this treatment is the enzyme Nagalase (α-N-acetylgalactosaminidase). Nagalase breaks apart the Gc protein – the precursor for the major macrophage-activating factor (MAF), therefore lowering levels of GcMAF (so, there is a reduction in the body’s ability to fight and clean up). The ‘workup’ would start by a physician ordering routine labs, Vitamin D and nagalase levels. In the US, this can be performed at Health Diagnostics and Research Institute. The company sends a kit with information, and the $85 blood test is sent back to their lab in New Jersey. There was a product, listed as ‘probiotic’ on ebay, which sold it as an oral supplement for $125 plus $47 shipping. The instructions were to mix it in 32 oz. yogurt, and take ~3 oz. daily, or ~$17/day – for ? days. Hmmm… well, you can’t get it any longer, anyway. Seisei Mirai describes the production process here. Costs of subcutaneous or IV injections, according to one producer are, “One vial contains 2.5ml of gcmaf that is enough for 8 weekly injections of 0.25ml and cost 600 euros plus 60 euros delivery…” Starting at a half of a dose for a month or so, that would come to ~$3,000-$5,000 for ~ 6 months, plus doctor visits and followup blood testing. Addendum: Our experience has been significantly less expensive.The cost of a small vial, which is lasting up to 6 months if stored correctly, is 660 euros (~$1,000US), plus a nominal cost of the syringes (4 ‘shots’ per month). Parents may or may not wish to re-order. The nagalase test is now $85. The other lab tests might include blood counts, metabolic, and other (insurance supported) studies. There are always risks when treating pediatric patients with blood products, and when there are no long-term studies. Almost all of the clinical work has been performed on HIV, hepatitis B and cancer patients, which may or may not have anything to do with ASD affected children. The only ‘published paper‘ is basically a chart review, which is not unimportant, but not well accepted by the scientific community. Claims that GcMAF has cured cancers and HIV have been brought into serious questioning. Most of the positive information comes from companies selling the product. Temperature elevation has been reported in some patients, which means that febrile seizures could be possible in young children. Hyperactivity, increase of stimming, agitation and aggressiveness (even with low dosage), which disappeared after discontinuing GcMAF has been reported – a common finding in many of our present protocols. To date, only a few professionals are reporting on this treatment for ASD. There ought to be some more definitive information available – especially on those patients who were getting this therapy a decade ago. So far, there are anecdotal reports of improvements in most signs and symptoms that are usually ascribed to autism; including cognitive abilities, attention and focus, learning and understanding, receptiveness and awareness of the environment, receptive language, expressive language, social skills, hyperactivity, fewer stereotypies, more cooperative and compliant. That this may benefit even older patients is very encouraging. The most recent experience can be found here. The use of this compound that may help symptoms in selected ASD patients helps our understanding of the importance of 1) Vitamin D and 2) the disrupted immune response. Both have been implicated as important findings in autism. Present protocols which utilize energy enhancement, promote G-I health and traditional therapies can prove to be less expensive and invasive with more expected results, especially when an early diagnosis is made and treated. There is just so much more to do before doctors can recommend such a non-proven treatment, and so much that parents need to understand if/when they decide on such a course. As opposed to one press release’s title, GcMAF represents only the beginning of the beginning in autism treatment. At a recent organizational meeting, it was overheard that the dose is significantly lower than previously reported. This requires further investigation, explanation, and experience. This entry was posted on Monday, May 6th, 2013 at 6:24 pm	and is filed under >ALL<, Alternative and Complementary Medicine for ASD, Autism Therapies, News-Maybe-Worthy, Patient experiences, Reversing autism, Special Therapies. You can follow any responses to this entry through the RSS 2.0 feed. You can leave a response, or trackback from your own site. I have been reading a lot about the many clinics that use the GcMAF therapy as part of their overall programs for a book I have written that is now ready for a review by the publisher in the U.S. For instance the Hope4Cancer clinic in Mexico is now planning to open a clinic on the island of Samoa near Hawaii. Dr. Bradstreet in Florida has claimed astonishing results with GcMAF for autism patients, but he was killed in July 2015 along with several other holistic doctors. The Seisai Mirai clinic in Japan delivers second generation GcMAF to the Mexican clinic. However, ituuutt is impossible to get accurate figures about success rates. Do you have some recent info perhaps ? I worked with Dr. Bradstreet, and he was instrumental in teaching me the protocol. That was when a reliable and demonstrably active (subcutaneous) GcMAF was available. Rather than ‘astonishing’, I believe that even Dr. B would have said ‘it’s another bullet in the belt’. Anyway, as regards performance, I only have the presentation that the European group used to present on their website, documenting the inability of the Seisai Mirai formulation to perform in vivo.